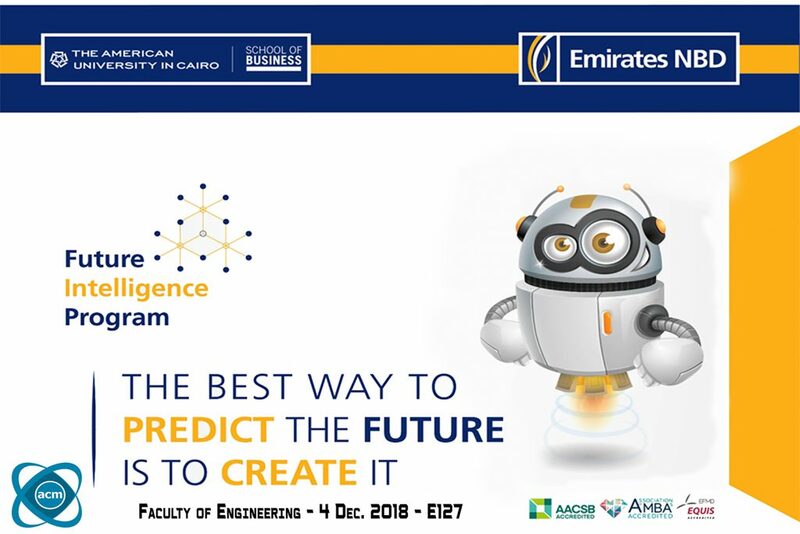 It honors us to announce that Pharos ACM Student Chapter is collaborating with Emirates NBD to organize this year’s Future Intelligence Program in Pharos University. This call is for all talented innovators around the University, gather your team and get ready! This is the 3rd round of the “Future Intelligence Program”; an innovation program aiming to facilitate the rapid creation of innovative banking related applications. Emirates NBD is reaching out to universities looking for talented teams that are passionate about these challenges. The top selected ideas will be given the opportunity to be pitched to a judge panel formed from experts in the financial sector, while the top 3 ideas will receive total cash prizes of EGP 110,000 and the 1st place team will also win a trip to Emirates NBD Headquarters in the U.A.E. For more information, join us next TUESDAY, 4th of December 2018, in faculty of engineering E127 hall at 12:30. Representatives from Emirates NBD will join us to discuss the details and help you with any inquiries or questions.